In college, you are bound to have at least one class (if not more) that makes you want to pull your hair out. Should you drop that class? 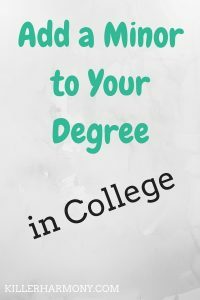 In this post, I am going to give you some good and not so good reasons to drop a class in college. Before you drop a class, there are a few things you want to consider. First, are you still able to get a full or partial refund for the class? If not, are you okay with that? Also, along those lines, can you add a different class in its place? You can usually add classes for the first two weeks of the new semester, but check with your school for specifics. How will dropping the class affect your financial aid status now and in the future? At most colleges, you have to be full time to receive financial aid. That usually means taking 12 credits or about four classes. Will you need to retake that exact class in the future? If you will have to retake that class as opposed to choosing another one to fill the requirement, it might be worth sticking it out. If you can take it with another professor or take another class altogether, think about that, too. Are you falling extremely behind? If there is any way you can catch up or petition for an Incomplete, that might be smarter than dropping the class. Is the class for your major? You want to do well in your major classes, and that means sticking with some classes that you don’t find as interesting. I felt this way about a class last spring, but I was able to power through. Just tell yourself it will be over in four months or less. Where are you in the semester? If you drop a class, will it show up on your record? Most W grades won’t count towards your GPA, but they will show up as being dropped after a certain point in the semester. Dropping a class at this point is fine once or twice, but it could look bad to graduate programs if you drop too often. 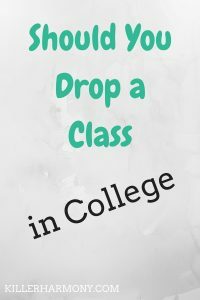 You should also consider if dropping a class will affect your graduation date. Since you will need to take the class again, but will you have toward long before it is offered again? You can’t always take a class the following semester, so think about how dropping a class now will affect your future schedule. Okay now that I have gone over what you should think about before dropping a class, here are some good reasons to drop. You are uninterested in the subject. If you decide to take a theatre appreciation class but would rather take music or art appreciation, you should probably consider dropping. In most cases, your general education requirements will have options. You already have a full load. Maybe you decided to try and be superhuman and take 24 credits in one semester. It may seem like a good idea when registering, but in practice, you will face a lot of burn out. Try dropping a class or two. Your brain will thank you. You are not able to connect with the material or the professor. Different professors have different teaching styles. If you aren’t used to how a professor teaches, you might want to look into a different professor. Now for some not so good reasons to drop a class. The class is a requirement for your major. Unless you are really struggling to grasp the material, try to stick it out. Contact your professor about working with you during office hours or ask them what you can do to improve. Odds are they were once a student in that same type of class, so they should understand how to learn the material. You have to wake up early or go in on Friday. Now, I understand not everyone is a morning person and having three day weekends in college can be great, but you have to be realistic. You might have to take an eight am class. Or you have to take a class that meets on Friday afternoons. I know that it’s hard, but think of it this way: the real world won’t allow for much flexibility. You will probably have a nine to five job five days a week. Choose what you can and be prepared for when you can’t. You have no friends in a class. Maybe you and your friend discussed taking the same political science class (hello, study buddy! ), but your friend had to switch to a different class because of a conflict. Don’t just drop a class because a friend did or because they never enrolled in it at all. You can make friends or it can be your “dud” class. AKA a class where you just go to learn and don’t really talk to the other students. So, have you ever dropped a class before? What was it like? Do you have any tips for someone considering dropping a class? Drop them in the comments! Author HannahPosted on August 29, 2016 October 28, 2016 Categories CollegeLeave a comment on Should You Drop a Class? So here’s something crazy: I’m a senior in college. How that happened, I do not know, but it did. This is my last year in my undergraduate program. 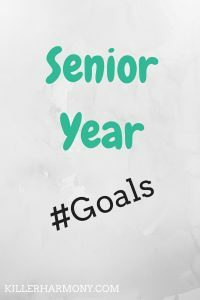 I have a lot to do in the next 9 months, so I thought I would break it down here for you for anyone else who might be a senior and in need of some inspiration. P.S. As of a few weeks ago, I was leaning against going to graduate school, but I have decided to keep it in the cards at least as an option. Also, since it is almost the end of August, I am skipping over that month. Pass recital preview and schedule date for the real thing: At my university, any student looking to perform a solo recital must perform the recital program for appropriate area faculty. I will have to perform my program in front of the three woodwind faculty members. I also have to pass all of the pieces before I can schedule the recital. Apply to graduate school: I have been looking at a few graduate school options, as close to me as an hour away and as far as on another continent. I would love to live abroad at some point in my life, and I feel like it could easily become a now or never situation. It also would mean an easy way out if November doesn’t go well *insert political rant* but that is for another day. Look at funding options for graduate school: Since I might be continuing my education, I want to make sure I can do it with money like scholarships and grants or possibly help from family. I would be willing to take out a loan but only for a part of my education. Student debt is real, and I don’t want to get sucked too far in. Be done with junior recital: By the middle of the month, I would like to have completed my junior recital so that I can start working on my senior recital. Plan senior recital program: I will need to choose pieces of different eras, styles, and instrumentation. For my first recital, I had to choose at least one concerto, one sonata (sonata style), one unaccompanied, one with piano, and one chamber piece. I assume the requirements will be the same. Find music for senior recital: Once I decide the music for my next recital, I will have to get that music and start working on it. Write more content for my blog: It looks like November will be a pretty slow month in terms of school, so I would love to write more posts for the blog, if possible. Find paid writing jobs: In order to start getting some more of my own money, I would like to take on some paid writing jobs. I still will write for my blog, but money is nice, and I want to get some experience working with other people. Apply for graduate school scholarships/grants/funding: Since I know that loans terrify me, I want to apply for as many scholarships and grants that I can. If I go abroad for grad school, there are some international student scholarships I could get. I need to look into it more. Maybe a post will be in order? File my intent to graduate form: If for whatever reason I haven’t already completed this form, now’s the time. I want to make sure I have a full semester to get all of the weird remaining requirements filled. I also want my university to know to fill those ASAP since I plan to graduate in May. Read more (blogs, books, etc): With winter break coming up, I will have a lot of time on my hands. I would love to read more blogs and more books. I’m considering a grad program in Spain and my minor is in Spanish, so I would love to read some stuff in Spanish. Enjoy the holidays: I think this goal speaks for itself. Work on senior recital music: In the second half of winter break, I want to make sure I have the music polished for my senior recital. That way, I can go back for my last semester feeling fully prepared for my last recital and everything else that I will have to do. Finalize plans to graduate in May: I will want to make sure that the offices receive my intent to graduate form. I also want to schedule a final meeting or two with my advisor to check that all necessary substitutions have been finalized. Since I transferred schools, not everything transferred as they should have, but my advisor has been super helpful with getting substitutions approved. I’d it weren’t for those subs, I would have had another semester or two. Start looking for a summer job: Whether it is a writing or social media job or a job in retail, I will want to have some income. That way, I can save some for when I am in graduate school. Also, if I do go abroad, I will need travel money. Pass recital preview and schedule date for the real thing: I want to pass my recital preview early so that I am not scrambling to do it last minute. Last year, there was not a single day in the last two weeks of the semester without someone performing a junior or senior recital. Decide on grad school/job: In case you couldn’t tell, my dream school is in Madrid, at the IE School of Human Sciences and Technology. At this point, I I’ll have to make my decision on the school I will be attending, accepted to IE or not. File the necessary paperwork for that decision: If I do go to school abroad, in Spain or to a school I have looked at in Canada, I will have to get a visa, figure out funding and housing, and everything that comes with going to another country. Perform senior recital: As I stated before, I want to get my recital done early. If I don’t get it in by the end of March, it will be hard to do it any other time. April is a busy month for music activities, so I don’t want to put off my recital. Work on blog content: During spring break, unless I end up on a trip, I will want to work on the blog, for sure. Find writing jobs: I want to find some jobs to get some extra funds to get me to graduation. Keep up with school and music events: Since April can be a really busy month, I don’t want to get behind. Especially since I will be a month from graduating, I don’t want to mess anything up or have any set backs. Get Cap & Gown: I don’t exactly know what my university does for cap & gown, but I will need to get my set around April so that I have it ready for graduation. Start moving dorm stuff home: Last year, I used the last few weeks and last couple of visits home to take some stuff that I could live without. For instance, I sent home one of the two folding cloth chairs I had. I also brought home some of my nicer clothes that I wouldn’t wear. This will be more important next year since the day I move out of the dorm officially will also be the day I graduate. Apply to some jobs for the summer: I would love some time off, but I do want to work a little during the summer. For both experience and money, a (good) part time job is necessary. This might change if I find some good writing jobs or other money making options online. Move out of dorm/graduate: This is kind of a requirement, but I want to make my graduation day go as smoothly as it can. Prepare for my next steps: Whether this is packing for my own apartment and looking for a full time job or preparing for graduate school, I don’t want to end up forgetting anything. I hope these goals were interesting. Maybe they gave you a look into my life or helped you figure out what you need to do if you are a senior this year. Do you have any goals for this school year? Leave them in the comments! In college, we have to pick a major: the field that our degree will be in, the field that you will probably pursue a career in. But see, no one really ever talks about minors or even double majors and when adding a secondary field (or two) is the right choice. I was talking with some friends a while ago, and one of them said that unless a minor will set you back considerably (i.e. more than a year), do it. There are very few circumstances where adding a minor or second major is not a good idea. When are those times that adding a minor isn’t right? When you are a semester away from graduation. When your major keeps you busy enough and you have to work a job. I can’t really think of anything else. And even if you do have a job that keeps you super busy, that is good experience to have. In that case, you might not need a minor. Now onto cases where you can pretty easily get away without a minor. First, if you are an education major. In these cases, a minor can definitely help. I know of a few elementary education majors who have minors or are pursuing some sort of second field of certification. But, the education program will keep you really busy. If you can barely handle the stress of your major classes, it might not be a good idea to add a minor onto all of it. If you are a secondary education major, odds are you probably have to pick a field of study, like English education. That field of study could be considered to be like a minor. If you end up not wanting to teach, your degree will show that you are experienced in English and thus, you might be able to get other sorts of jobs. At my university, if you are in a Bachelor of Arts (BA) program, you are encouraged to earn a minor. The BA programs allow for enough extra electives that it would be pointless to not pursue a minor. I am currently in the Bachelor of Music (BM) in performance program, so it is not necessary for me to earn a minor, but I am still planning on it. Why? I want a minor so that I can get a competitive edge over other applicants for jobs or graduate school. Also, I have the time…and I will still be able to graduate after four years. If you are in a major that doesn’t lead to any specific career, having a minor can help establish a focus and help you figure out what you want to do with your life. Even though I am in a career preparatory program, I want to be prepared to enter a career that is not specifically music performance. As an example, I am adding a Spanish minor which would allow me to work in Spanish speaking areas, get certified in translation and interpretation, or even go on to graduate school for something like musicology. I have heard that you are supposed to major in something that will get you a job and minor in something that you love. I would say that while that is a good thing to keep in mind, know that pursuing a major in what you love will probably get you a job that you will be more interested in. Yes, you need to think practically, but I believe that is where a minor comes into play. I plan on writing more about my experience of adding more to my program than just my major and how I am working it out in my last year of undergrad. If you have any questions, lease let me know by commenting below or tweeting me @HannahHaefele. So last month, I started a series on this blog about my experience and tips on figuring out what I want to do after I graduate this May. This particular post will cover researching jobs or graduate school. I am going to talk about what I have done and will continue doing in order to find the job or grad program that is right for me. If you have not read the first installment of this monthly series, click here. As of right now, I have decided to put off graduate school, at least for awhile. I have been in school since I was five years old, and I think it’s time for a break. 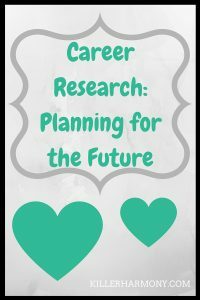 I’m still going to give you tips if you are in the process of looking at graduate programs, but this post will be slightly more focused towards job hunting. Here are my tips for researching jobs or graduate programs. It’s a little cliche, but it’s also an important step. You don’t want to waste time looking at jobs or programs that you will hate. You don’t have to decide what you want to do your entire life. Just think of how you want to spend the next few years, what you want out of a job or grad school, or just how you want your day to day life to go. Example: I really want to work for myself, in a creative field, and have a flexible work schedule. So, I will be looking for jobs that will get me toward that goal as quickly as possible. Is there a particular place you want to live? Would you prefer to live at home, close to home, or across the country? Keep that in mind when looking for jobs or grad schools. Even if you don’t have a specific city in mind, think of what sort of climate or environment you want. Example: Since I want to work from home, my options are pretty open regarding location. However, I plan to live at home so that I can save money. If I have to pay rent to my parents, it won’t be as steep as for an apartment. The only exception would be if the only jobs I find require me to be somewhere else. Whether you are entering grad school or the workforce, you probably want to have some idea of the opportunities you will have. Is there a good chance of promotion at your prospective company? Will you get good work experience in your grad school program? These are things that you should think about. Example: I want to eventually be my own boss, so if I have to take a job with a company, I want it to give me experience in various areas of business. Will I have a chance to work on more than one thing? That is important to me. If it’s grad school you’re considering, what’s the cost? Will you need to take out a loan? Can you find a job as a graduate assistant? Can you find some sort of grant? If it’s a job, what’s the pay? How does the pay compare to the work expected of you? Does the job offer any benefits like health insurance or company-paid items? Example: I want to find something that can make me $3-5 K per month, starting wage. If it’s my own business, then I hope to make that after the first 6 months to a year. If I do take a job, I want one that offers full insurance coverage. What will you be doing every day? If it’s grad school, will your classes be lecture-based or hands on? If it’s work, will you be doing the same thing day in and day out? What do you prefer? Example: I want to have some variety in my work. As much as I enjoy writing, I don’t want to do that all day long. I want to write and edit and post on social media. Will you be expected to work overtime? Will you have a lot of credit hours to juggle? If you like having free time or you need to work your way through graduate school, or both, you need to take note of that. That way, you can avoid a job that requires a lot of overtime or a full course load when you need to work a lot. Example: I don’t mind working overtime occasionally, as long as I am doing something I enjoy. I would be willing to spend time outside of office hours working on writing an article or designing a graphic for a social media post. I wouldn’t like working overtime on something like taxes. This is true with any new environment, and especially with one that you hope to be in for awhile, but you should try to meet some people. Set up a meeting with a professor in your department or ask if you can walk around your potential office. It is much easier to work or get through school if you are with people that you get along with. Example: If I do work with people, I want to work with people who trust me to get things done on time. I don’t need or want too much supervision. I don’t need hand holding, and I want to work my way. Going to graduate school or starting your first post-college job is a big deal. The decision between the two is also big. It’s a decision that shouldn’t be taken lightly, and you should do what you can to make sure you choose the right school or job for you. Yes, you can change jobs or career paths, but it is just so much easier to start off right. Researching your potential schools or employers is a smart and relatively easy way to make the right decision for you. I’m so excited to be taking part in a blogger linkup with some other amazing bloggers from the Midwest! A linkup is basically a group of posts about the same topic that bloggers coordinate and post around the same time. 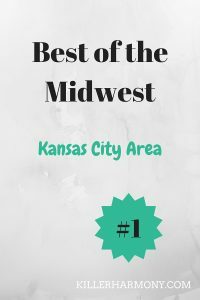 Here is my post on the Best of the Midwest! I am from the Kansas City area, specifically the Kansas side (sigh…). And one of the newer attractions on the Kansas side in the suburb of Overland Park, Kansas is Prairie Fire. If you have heard of the Plaza in Kansas City, it is like that. It is an outdoor shopping center, has a movie theatre and museum, and there are also apartments. A few weeks ago, my family and I had a ~nerdy~ family day at Prairie Fire, and it was pretty cool. The museum is crazy beautiful on the outside! Part of what makes the museum great is that it isn’t all that expensive. You can see some exhibits completely free. Tickets range in price from $8-$22, depending on the part of the museum you want to see. They even have a student discount. When we went to the museum, they had a cool exhibit on the brain. The exhibit had everything on the brain from visuals of the neurons to interactive puzzles and basic foreign language practice. It was a really cool experience, learning about the brain. After going through the exhibit, we stopped in the small gift store. I didn’t end up getting anything, but they had tee-shirts, books, puzzles, games, and more. After the museum, we went to the movie theatre, Cinetopia, to see Finding Dory. It was a cute movie, and I think it lives up to the expectations set by Finding Nemo. We picked a showing with a full service restaurant. Before the movie started, there were waiters walking around taking and delivering orders for food and drinks. The chairs were huge and had drink holders and small tables. You could order just about anything from the basic popcorn to a full meal; my dad chose salmon sliders. It was nice to have food brought to you, because navigating the stairs of the theatre to find seats and having your hands full is not easy. We lucked into going out on a nice day; Kansas summers are usually accompanied by intense heat and humidity. After the movie was over, we walked around Prairie Fire. The center has different restaurants and shops and even a bowling alley. We went into a music store and a game store and looked around, but I didn’t find much. We also decided to stop into a store called Decadent. And oh man, that name fits! Decadent has a lot of different desserts. You can get ice cream, donuts, cookies, brownies, and so much more. 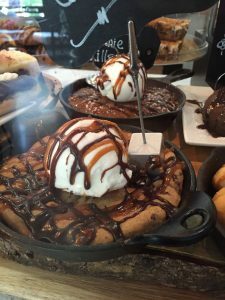 I had the skillet cookie, and it was honestly the best thing ever. It was very filling, but it was worth it. Since I have been home from college for the summer, I have had a lot of time to spend with my family and around my town. I still loved getting to spend a day with my family. We didn’t go anywhere for vacation, so this was our stay-cation. If you are in the Kansas City area, you should spend a day out at Prairie Fire. There is just so much to do in that place. You can shop, eat good food, go bowling, see a movie, go to the museum. If you are not from Kansas City, this city is big on its outdoor malls/shopping centers. The Plaza that I mentioned earlier was the first of its kind in the country. How cool is that! Now the whole area has centers emulating the original beauty of the Plaza. Of course, the shops and restaurants vary from place to place, but the concept of a place to go and do different things, and having it be outside, is pretty cool. Places like Prairie Fire might not be the best in the heat of summer or the dead of winter, but they are worth a visit. If you live in KC, you should check it out for a little stay-cation of your own. 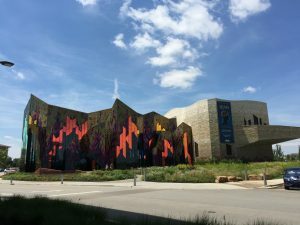 If you will be visiting or passing through KC, you should also check it out. They have a Mexican restaurant if you want a real meal. While I don’t see myself living here for my entire life, I am proud to have grown up in and around Kansas City. I love seeing the different parts that this area has to offer. I loved having a nice day exploring a new part of my town with my family, and I hope you enjoyed reading about it.